The purpose of the Scientific Exploration Visualization and Analysis (EVA) Working Group is to identify and develop data-intensive Exploration, Visualization, and Analysis exemplars that can serve as the foundation for the creation of workflows and DataONE analysis and visualization functionality. This working group will convene experts in large-scale data analysis to provide both recommendations and potentially resources to develop several useful exploration, analysis, and visualization prototypes. The current EVA Working Group, which began in 2011, is developing a cyberinfrastructure system that can be used to benchmark and evaluate models used for Earth System modeling. The initial effort will be to compile observations at a wide variety of locations around the globe that can be used to evaluate model results. This second EVA working Group is collaborating with the International Land Model Benchmarking (ILAMB) project. 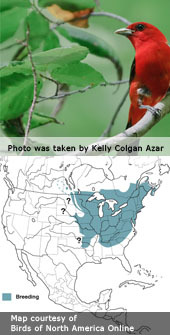 The first EVA Working Group, convened in 2009 -2010, assembled and integrated data products for the conterminous US that were used to develop models of bird species distribution.These results were used in the 2011 State of the Bird Report, released by the Secretary of Interior in May 2011.